What Is Hard Water And How To Prevent it? Most of us have experienced the annoying results of hard water. It can leave behind deposits that can clog faucets and drains, stain glass and tile, prevent soap from sudsing, and leave a residue on your hair and skin. Although hard water is not a big issue for the human body, it can have devastating effects on plumbing, hot water heaters, dishwashers, washing machines, and other household appliances. Water is considered “hard” when high levels of dissolved minerals are found within the water. Hard water is formed when water travels through rock, soil, and sand. When that water evaporates, it leaves behind mineral deposits on surfaces. These deposits are referred to as hard water stains. Hard water does not mean unhealthy water. In many ways, it can help prevent disease and strengthen your intake of daily-recommended mineral values. Hard water can reduce the life span of your plumbing systems and contributes to problems such as rusting, reduced effectiveness of cleaning agents, and scale buildup. Stemming from the buildup, scale accumulation can result in your water heater and plumbing systems using more energy, in turn costing you more money in the long run. 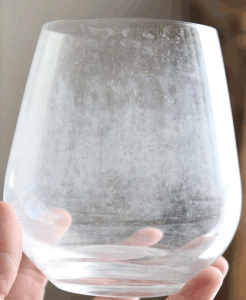 To remove hard water stains use white vinegar on tiles, glass, and faucets. Be careful though because vinegar can bleach some types of fabric and damage stoneware. Purchase a small ion exchange filter. Some can attach to a kitchen faucet, some you can put in pitchers. Sodium chloride: the most common and most effective type. This adds a tiny amount of salt (sodium) to your water. Potassium chloride: less effective, but useful if you can’t have sodium. Potassium can harm people with damaged kidneys or on certain medications that prevent potassium absorption. A seasoned plumber will be able to immediately identify the best course of action for each type of case. Get in touch with our trained and experienced staff to learn more about how we can get rid of hard water in your tap today! You can also test the water yourself by following these instructions here.